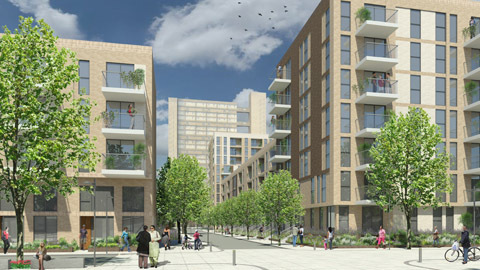 The first phase of a £250 million regeneration of a Tower Hamlets estate is set to begin next month and is believed to be the biggest ever investment in this part of London. Over the next two years, the regeneration of the Aberfeldy estate in Blackwall will deliver 105 new homes for private sale and some retail units with a value of £30 million. The project will be set in motion now that Regen, the development division of construction company Willmott Dixon, is working with Poplar Housing and Regeneration Community Association. 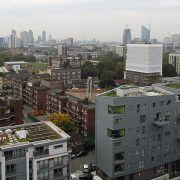 The scheme, which was granted planning permission last year, is part of the Olympic Legacy regeneration plan for east London. Over 12 years, the project will renovate the 1950s-era estate in order to provide a better living environment for residents. The plans will see 1,176 new homes, shops, healthcare and community facilities as well as the making of open, green spaces for recreation. Since 2010, planners have been working with residents as well as local groups and agencies on the scheme, which will provide new housing for current residents first. The long-term project will sustain over 1,000 construction jobs and it is anticipated to provide 300 new jobs in the area once completed. The new Aberfeldy Village will provide good transport links to new and existing residents. 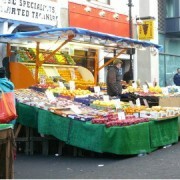 Its close proximity to East India Road DLR connects the estate to Canary Wharf and central London. The project’s financial security is being assured by completing the project in six phases, with each one being mostly completed before beginning the next. Brian Brady, managing director of Willmott Dixon’s residential development business said: “We are delighted that our development know-how and experience is able to help Poplar HARCA realise their ambition to create a new future for Aberfeldy Village and its residents – a journey we look forward to completing together. More details on the plans can be found here.